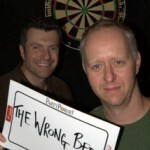 Launched in Vegas in 2009, The Wrong Bed podcast takes an independent irreverent and generally irrelevant look at the world of darts. After six series of ever decreasing length and quality, TWB will be back in 2016 with a couple of special episodes. Below you can access more than 50 previous episodes – or you can listen via the never-updated Facebook page, via iTunes, on this (fairly slow and very old-school) direct download, or through numerous other routes many of which weren’t invented when we started out. Tricky D and I would like to thank everyone who has contributed to the show, in particular for making us laugh – and helping us generate a volume of outtakes that would make Denis Norden proud. 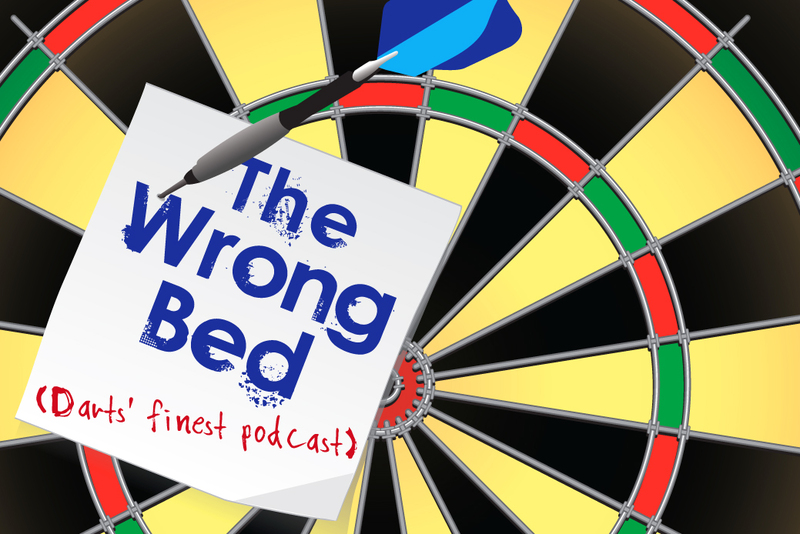 You can get in touch by emailing bachelorofdarts@gmail.com, or following @thewrongbed on twitter; sometimes we might even respond. 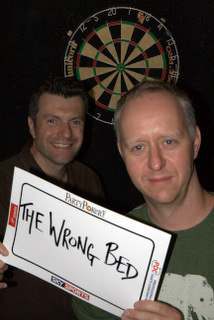 We may even put together another episode or two, if you ask nicely.